The Porter County Public Library in Valparaiso will hold a program, "Technology for Genealogists," on Saturday, November 2 from 1 to 3 pm. Marlene Polster, Lake County Genealogist, and Linda Novotny will show some fun ways to use your cell phones, digital cameras, scanners and other electronic devices to document your family history. Please contact the library to reserve your seat - phone (219) 462-0524 extension 5. 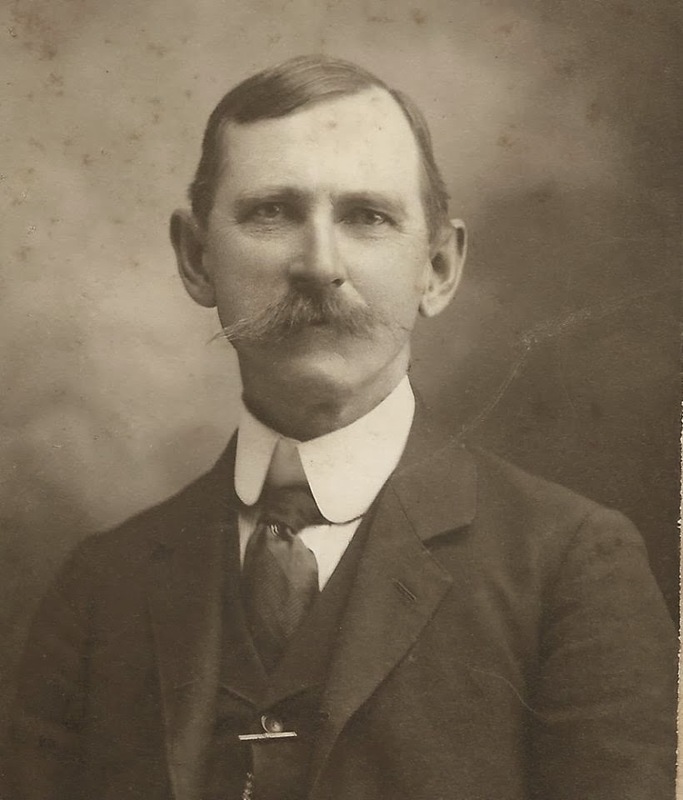 Oswald Samuel Tounsley disappeared on or after 22 Aug 1911 after a stay of several months in New Albany, Floyd County, IN. Can you tell me if there are any hotels, inns, etc that were around then that are still in the area or where guest registers would be still around? He was on a road trip from Tampa, FL, to Chicago. I have a postcard postmarked 22 Aug 1911 from New Albany saying he was headed north. Any info at all would be greatly appreciated. Bless you for what you do. Family Search has updated the Indiana marriage index 1811-1959 that is in progress. Index entries have been added for 8 counties: Tipton County, Vermillion County, Vigo County, Wabash County, Warrick County, Washington County, Wayne County and Whitley County; the database now covers 67 of Indiana's 92 counties. Susan Kaplan (sak62057@netzero.net) has a treasure trove of genealogy records, photos and documents compiled by (James) Kevin Bright (1948-1997) that she would love to give to either someone in Kevin's family, or to a genealogy enthusiast who is related to one of the families in his research. Kevin's last address was Southport, Marion County, Indiana, but he had siblings who lived in the Greenwood, Johnson County area. Kevin's research includes information that was compiled by Joanna Admire Bright, whose address in 1983 was 2111 N. St. Rd. 135, Bargersville IN. If you are related, or can provide any help, please contact her. The St. Joseph County Public Library Local & Family History Center (304 S. Main St., South Bend IN 46601) will host a genealogy roundtable on Thursday, November 7 at noon. Bring a bag lunch and discuss your family history search, along with any questions you have. For more information, please call (574) 282-4621. I am trying to find my grandmother's sister's family or anything about them. Her name was Goldie Clines. I believe she lived in Lexington, Scott County, IN, during her youth and probably married sometime in the late 1890's. I have not been able to find anything. My grandmother was Maude Clines. I think they were from England but not certain. I appreciate any help you can offer. Thank you. Condolences to the friends and family of Douglas L. Mayer of Warsaw, Indiana, who passed away on October 24. 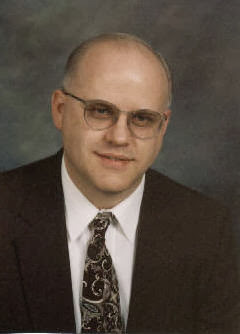 Doug was the Indiana County Genealogist for Kosciusko County, among the first to be appointed when the Indiana Genealogical Society began this program in 2006. He was involved with the Kosciusko County Historical Society for some 30 years, first as president and quarterly editor and then as the librarian for their genealogy library. He authored several obituary indexes and volunteered with the North Webster library. I am trying to find information about the John Blew/Blue family from Franklin County, Indiana. He was born in 1773 in Somerset, New Jersey to Michael Blue/Blauw and Mary Stout. In 1816, John married his second wife Margaret Moak/Metes in Franklin County, Indiana. His date of death is unknown but he is buried in the Big Cedar Cemetery, Springfield Township, Franklin County, Indiana. One son, Dr. Peter Moak Blew, was my wife’s 3rd great grandfather and I have been trying to document his birth to John and Margaret. He eventually settled in Pulaski County, Indiana. The Hamilton East Public Library in Noblesville will hold a computer training workshop on using Fold3 and American Ancestors databases on Wednesday, November 20 from 9:30 am to noon in the library's computer training lab. Participants will learn the most effective ways to search for ancestors on these 2 subscription sites, and there will time at the end to work on your own research. For Indiana librarians, the workshop is eligible for LEUs. The workshop is free but registration is required - to register, visit the events calendar on the library's website, or call (317) 776-6939. The LaPorte County Genealogical Society will meet on Tuesday, November 12 at 7 pm at the La Porte City Parks and Recreation Department building (250 Pine Lake Avenue, LaPorte IN). In honor of Veterans Day, Commander James Stemmler of the Hubner Swanson Veterans of Foreign Wars Post 1130 will present a program describing the services the VFW provides to veterans and their families. The Hamilton East Public Library in Noblesville will hold a genealogy roundtable on Tuesday, November 12 from 2:15 to 3:15 pm in the library's genealogy classroom. Participants will talk about the challenges they are facing in their genealogy research, and those with "success stories" will share what strategies they used to overcome these obstacles. The Allen County Public Library in Fort Wayne will hold a program, "The Gettysburg Address: 150 Years Later," on Sunday, November 10 at 2 pm in the library's Meeting Rooms A-B. President Abraham Lincoln’s Gettysburg Address is one of the best-known speeches in American history. Lincoln delivered his address on the afternoon of Thursday, November 19, 1863, at the dedication of the Soldiers' National Cemetery in Gettysburg, Pennsylvania, four and a half months after the Union victory at the Battle of Gettysburg. Edward Everett delivered a two-hour oration before Lincoln's three minutes of dedicatory remarks, yet it is Lincoln's words that are remembered. Come to this engaging program to learn why that is. This program will be presented by Sara Vaughn Gabbard. Gabbard is the Executive Director of the Friends of the Lincoln Collection of Indiana, Inc. She is the editor of the acclaimed Lincoln Lore and has co-edited three works about Lincoln for the Southern Illinois University Press—1863: Lincoln’s Pivotal Year; Lincoln and Freedom: Slavery, Emancipation, and the Thirteenth Amendment; and Lincoln’s America, 1809-1865—with a fourth book to be published in 2015. She is also co-editor of the Concise Lincoln Library for the SIU Press and is widely recognized in the field of Lincoln scholarship. Shelley is hoping to locate someone from this Moore family so that the photo can be returned to the care of family. If you are a descendant of this family, or you know someone who might be, please contact her directly. The Allen County Public Library in Fort Wayne will hold a free class, "Take it With You: How to Print or Save Records from Genealogy Databases," on Wednesday, November 13 from 2:30 to 3:30 pm in the Globe Room of the library's main branch (900 Library Plaza, Fort Wayne IN). After you make a great family history discovery in one of The Genealogy Center’s on-site databases such as Ancestry or Heritage Quest, you will need to print or save the record for future reference. Sara Allen will lead you on a comprehensive tour of all the library's databases, demonstrating how to take a copy of that exciting record with you when you leave. This class is the first in The Genealogy Center's WinterTech Series. The WinterTech classes are free and will be held on the second Wednesday of the month at 2:30 pm from November through February, to coincide with the Allen County Genealogical Society of Indiana's monthly meeting. You are encouraged to come for the WinterTech class in the afternoon and then stay for the ACGSI meeting at 6:30 pm. To register for any of the WinterTech classes, please call (260) 421-1225 or e-mail Genealogy@ACPL.Info. The Morgan County History and Genealogy Association will meet on Thursday, October 24 at 7 pm at the Morgan County Public Library in Martinsville. Jeannie Reagan-Dinius of the Indiana Department of Natural Resources' Division of Historic Preservation and Archaeology, will be speaking about cemeteries in Indiana. She will talk about who is responsible for them and what property owners need to do if the cemetery is on their land. All those who are interested in cemeteries are encouraged to attend. For more information, please contact Morgan County History and Genealogy Association President Anita Zike - phone (765) 342-7678. Cases of divorce, suicide, illegitimacy, insanity, and criminal activity do shake the ancestral tree! Genealogist Susan Covey will present a program, "Dancing With Your Family Skeletons," at the Southern Indiana Genealogical Society's meeting on Thursday, November 7. She will outline methods for researching black sheep ancestors by using common and unique sources. Ms. Covey is the SIGS publicity chair and a recipient of the Floyd County, Indiana "Gold Leaf Volunteer Award" for her work in local genealogy. The meeting is at 7 pm in the Strassweg Auditorium of the New Albany-Floyd County Library (180 W. Spring St., New Albany, Indiana). For more information, please visit http://www.rootsweb.ancestry.com/~insigs/nextmeet.htm. The Indiana Genealogical Society now has 1,158 databases in the Members Only area. Each of Indiana's 92 counties has at least 4 databases. The Boone County Genealogical Society will meet on Tuesday, October 22 at 6:30 pm in the top floor meeting room of the Lebanon Public Library. Dr. Grace Mary Gouveia, Head of the Genealogy and Local History Department at the Frankfort Community Public Library, will give a program on migrations, in honor of October being Family History Month. The meeting is free and open to the public. The Starke County Genealogical Society is offering weekly genealogy classes on Tuesdays, beginning October 22. The classes are free and will take place at the office of Audrey Kinezian, Starke County Genealogist, who will lead the classes. Participants can sign up to attend at either noon or 6 pm on Tuesdays. For more information, please contact Audrey Kinezian - mailto:kinezian@centurylink.net. I'm a member of the Santa Barbara County (CA) Genealogical Society, and my roots are Illinois. I'm researching William H. Farris, my g-grandfather, who was born in Virginia, 1823, and who married Elizabeth Ann Crable/Grable on July 1, 1847 in Vigo County, Indiana. Online I was able to learn this, and the marriage license was 6050906. I still don't know if it's Crable or Grable from the hand written record, although on the marriage index it's printed as Crable. In the Harrison Township, Vigo County, 1850 Census, he is listed as William Faris, with Elizabeth age 20, and their first child, Benjamin age 2. William is listed as a Cooper; he's aged 25. His real name is William H. Farris. Her first child was born in Indiana, Benjamin F. Farris b. 28 Oct. 1848. Several years later, they moved to Illinois, and the following children were born in Illinois: Helen, Georgeane, Emma, Edward E., William D. and John C. Thanks very much. LOOKING FOR TN, NC, KY, VA, or IN, UNKNOWN PARENTS OF HEZEKIAH STOUT DENHAM (ANY SPELLING), b. 1802 TN--d. 1886, IOWA. MD. #1-WINNEY (LITTLE/LITTELL), 1824, HARRISON COUNTY, INDIANA. OUR LINES ARE CAUCASIAN: ENGLISH, IRISH, WELSH, DANISH, FRENCH, AND POSSIBLY GERMAN, PRUSSIAN, NATIVE AMERICAN, AND/OR MELUNGEON. The Mishawaka Penn Harris Public Library (209 Lincoln Way East, Mishawaka IN 46544) will hold a Genealogy Roundtable on Thursday, October 24 at 6:30 pm. Beginners and experienced researchers are welcome to come chat about their interest in family history and genealogy research. For more information, contact Deanna Juday - d.juday@mphpl.org or (574) 259-5277 extension 215. The Indiana Genealogical Society now has 1,154 databases in the Members Only area. Each of Indiana's 92 counties has at least 4 databases. In honor of October being Family History Month, the SullivanMunce Cultural Center in Zionsville, Boone County will hold a beginning genealogy program on Saturday, October 26 from noon to 2 pm. Roberta Martin will be the presenter. You'll learn how to find out more about your grandparents, as well as how to trace your family back through the centuries, and also find out about genealogy resources in the Indianapolis area. There will be a question and answer session afterward. Donations are welcome. Space is limited - please RSVP by contacting Roberta Martin - robertam@sullivanmunce.org or (317)873-4900. The Indiana Genealogical Society now has 1,152 databases in the Members Only area. Each of Indiana's 92 counties has at least 4 databases. I am looking for information on Gideon Van Ness. I know he was born in Indiana on January 22, 1864. Also, he married Nora Belle Riggs on June 10, 1884 in Warrick County Indiana. Other than that I have no other information on him. Any help would be appreciated. Thank you.